Our faculty is pursuing a diverse collection of research opportunities whose goals are the advancement of the computer science field of study, IT industry collaboration including technology transfer, and the pursuit of important societal problems faced by our many public and private sector partners. Our approach has also grown from traditional computer science themes such as algorithmic analysis and computer language development to one which embraces the integration of computing in fields like computational sciences, bioinformatics, disaster management, Geographical Information Systems, as well as cutting-edge technology topics like cloud computing, social networks, cybersecurity, and highly reliable systems. Our research community firmly believes in a multi-disciplinary approach to solving both theoretical and applied computing problems. Our School has reached a high sustained level of research and scholarly activity and is now taking the next step towards prominence by competing for and winning very prestigious national and international awards, and in recruiting outstanding faculty. TerraFly is a technology and tools for visualization and querying of geospatial data. The visualization component of the system provides users with the experience of virtual “flight” over maps comprised of aerial and satellite imagery overlaid with geo-referenced data. The data drilling and querying component of the system allows the users to easily explore geospatial data, to create geospatial queries, and get instant answers supported by high-performance multidimensional search mechanisms. TerraFly’s server farm ingests, geo-locates, cleanses, mosaics, and cross-references 40TB of basemap data and user-specific data streams. TerraFly’s Application Programming Interface allows rapid deployment of interactive Web applications and has been used to produce systems for disaster mitigation, ecology, real estate, tourism, and municipalities. TerraFly’s Web-based client interface is accessible from anywhere via any standard Web browser, with no client software to install. The Integrated Computer Augmented Virtual Environment (I-CAVE), an instructional and research visualization facility located in the ECS building of FIU’s Modesto Maidique Campus. This facility can be used for both undergraduate and graduate instruction in a variety of fields across the natural and social sciences, humanities, and professional programs. I-CAVE provides new opportunities for students and faculty for research, creative projects, learning exploration and data visualization. The benefit for users is tremendous as this virtual environment provides for 2-D and 3-D visualizations of scalable data, a completely immersive experience of a virtual space, and the capacity to explore new ideas, places or objects in a dynamic and interactive visual environment. 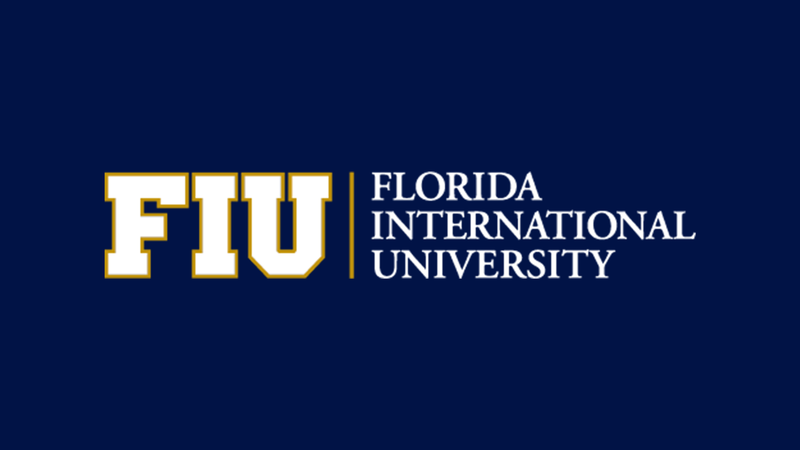 Cyber-enabled technologies provide opportunities for teachers of science, math, and technology to work with faculty at Florida International University. Through a six (6) week program, teachers participate in technical and educational research as part of a research community. Mobile sensor networks are finding rapidly growing applications in a wide range of data collection applications, such as natural disaster forecasting, health condition monitoring, military reconnaissance, and traffic monitoring. Meanwhile, privacy is becoming an indispensable concern of these applications. This project targets an important but mostly untouched privacy issue: trajectory privacy preservation in mobile sensor networks. Mobile sensors, carried by users or vehicles, communicate with peer nodes and the base station through wireless media continuously. Therefore, trajectory information not only indicates the movement patterns of the sensors but also reveals the personal preferences and habits of users. Trajectory privacy invasion could lead to several types of risks for users, including personal safety, consuming profiling, and interference attacks. Prof. Mark Finlayson’s work intersects artificial intelligence, computational linguistics, cognitive science, and the digital humanities. His research focuses on the science of narrative (as a language object), including understanding the relationship between narrative, cognition, and culture, developing new computational methods and techniques for investigating questions related to language and narrative, and endowing machines with the ability to understand and use narratives for a variety of applications. Prof. Finlayson seeks highly motivated REUs and RETs to address important problems in this area, including building automatic natural language processing tools for extracting syntax and semantics; building user-facing tools for language corpus annotation, and collecting richly annotated corpora of stories. A common research theme of ModLab is to develop efficient and effective modeling and simulation techniques for studying computer systems and computer networks, in particular, high-performance computing (HPC) systems and large-scale computer networks. Another of our research efforts is the Distributed Multimedia Information System Laboratory (DMIS). Its mission is to conduct leading-edge research in multimedia database systems, data mining, networking and wireless, GIS and Intelligent Transportation Systems. Other research areas of this effort include Multimedia Communications and Networking, Digital Library, 3D Animation, Distributed Computing and WWW. Dr. Ram Iyengar leads the Discovery lab and a team of CIS researchers who are currently performing advanced research in areas of intelligent systems, advanced security systems, autonomous mobile robots, and sensor networks, and smart grids. The Discovery Lab provides an infrastructure to promote collaborative research among universities and research organizations across the nation. In addition to addressing a comprehensive set of fundamental research topics, the Lab is pursuing commercialization, distinguishing itself from traditional research labs through its focus on translating research discoveries into technology transfer outcomes. At the same time, the laboratory provides students with the hands-on experiences they need to solve real-world challenges, develops student-led research opportunities, fosters students’ entrepreneurial skills, and trains a new generation of IT professionals who reflect the diversity of South Florida. Integrated Computer Augmented Virtual Environment (I-CAVE) is an instructional and research visualization facility located on FIU’s Modesto Maidique Campus. This facility can be used for both undergraduate and graduate instruction in a variety of fields across the natural and social sciences, humanities, and professional programs. Director: Prof. Fahad Saeed, PH.D.
We are an interdisciplinary research group developing high performance computing algorithms focusing on computational biology. We solve big data problems using variety of high-performance algorithms, machine-learning and deep-learning strategies. The Cyber Security and Privacy Research (CaSPR) Lab develops efficient solutions to ensure a trustworthy use of mobile and social networks. Problems of interest include the detection and prevention of online service fraud and abuse, cryptocurrencies, and mobile authentication. The National Science Foundation’s (NSF) FIU-FAU-Dubna Industry/University Cooperative Research Center for Advanced Knowledge Enablement (CAKE) was established to develop long-term partnerships among industry, academe, and government. The Center is supported primarily by industry center members, with NSF taking a supporting role in its development, evolution, and core funding. The Center’s mission is to conduct industry-relevant studies and deployments in the representation, management, storage, analysis, search and social aspects of large and complex data sets, with particular applications in geospatial location-based data, disaster mitigation, healthcare, transportation, and town planning. Director: Niki Pissinou, Ph.D. and S. S. Iyengar, Ph.D. Funded by the State of Florida, industry and federal government, the Telecommunications and Information Technology Institute (IT2) is a unique hub for research, technology transfer, and education at the graduate and undergraduate levels. With a sustainable growth model as the basis for its development, IT2’s portfolio now boasts cutting-edge research, active alliances with industry and unique academic programs. It is now a leading resource for education, training, research and technology development in the United States of America and abroad. The mission of this research group is to work on problems from the fields of Bioinformatics and Biotechnology. The group’s research projects include Pattern Discovery in sequences and structures, microarray data analysis, primer design, probe design, phylogenetic analysis, image processing, image analysis, and more. The group builds on tools and techniques from Algorithms, Data Mining, Computational Statistics, Neural Networks, and Image Processing. Director: Christine L. Lisetti, Ph.D.
We are interested in research on affect, emotion, and personality at the intersection of research in Artificial Intelligence, Human-Computer Interaction, and Robotics. Emotional systems in humans influence important cognitive processes such as salience determination, focus and attention, priority determination, interruption in an emergency situation, memorization and recall, goal generation, goal attribution, categorization, and preference. All these processes are important for intelligent systems with limited resources evolving in an unpredictable environment, including artificial ones (W. Clancey; N. Frijda; M. Minsky, D. Norman, A. Ortony, R. Picard, D. Rumelhart, H. Simon; A. Sloman; R. Zajonc). Our goal at the Systems Research Laboratory (SyLab) is to conduct research in the area of Operating Systems. While we are interested in all problems related to Systems, lately, we have been developing new capabilities for storage systems and virtualized data centers. Some of the capabilities that we have developed recently address energy, performance, and self-management for storage systems and resource isolation and performance guarantees within virtualized systems. STRG is comprised of MS and Ph.D. students and associated researchers under the guidance of Dr. Peter Clarke. Investigate new ways to perform automated software testing that use new research techniques and methods from AI and ML. Explore how model-driven engineering techniques can improve software testing. Develop a cyberlearning platform to support computer science education by using various learning and engagement strategies. Collaborate with companies and researchers to find solutions to previously mentioned objectives. The Cognac Laboratory pursues the science of narrative, including understanding the relationship between narrative, cognition, and culture, developing new methods and techniques for investigating questions related to language and narrative, and endowing machines with the ability to understand and use narratives for a variety of applications. Florida International University’s Center for Advancing Education and Studies on Critical Infrastructures Resilience (CAESCIR) is funded by a Scientific Leadership Award granted by the United States Department of Homeland Security. CAESCIR aims to improve our nation’s critical infrastructures security and resilience via an integrated research and education framework that covers Homeland Security Science, Technology, Engineering, and Mathematics (HS- STEM) areas of interest in computer science, information technology, and cybersecurity. Director: S. S. Iyengar, PH.D.
Cyberspace, the ubiquitous collection of interconnected IP networks and hosts that have proliferated over the last two decades, has become the nervous system of the country. Healthy functioning of Cyberspace is essential for the proper operation of numerous critical infrastructures, such as telecommunication, energy, and transportation. It is also necessary to support the ever-expanding business infrastructure, including commerce and banking. The increasing reliance on Cyberspace has been paralleled by a corresponding increase in the variety, frequency and impact of attacks from a range of assailants. Both commercial companies and government agencies face continuous and increasingly more sophisticated cyber-attacks ranging from data exfiltration and spear phishing to sophisticated worms and logic bombs. The targets include not only computer information systems, but also the network communication infrastructure and power grids. Moreover, commercial companies and government agencies are themselves engaging in information gathering whose implications for privacy are disturbing. One of our research efforts is the High-Performance Database Research Center (HPDRC). HPDRC conducts research on such theoretical and applied issues as Internet-distributed heterogeneous databases, database design methodologies, database design tools, information analysis, multi-media databases, database languages, data compression, spatial databases, and data visualization. The Center also designs specific database systems for highly complex applications. Our lab conducts experimental systems research, specifically addressing high performance and enterprise applications on virtualized and distributed platforms; focusing on big data analytics systems, specific research interests include runtime adaptation, methods for online resource management, and system support solving enterprise motivated real-world problems that embody complicated data analytics; focusing on systems virtualization, research interests range from basic technologies to innovative technology application. LEARN-CS is dedicated to exploring the experiences of those underrepresented in computer science in order to broaden participation in computing fields. Members of the LEARN-CS research team leverage rigorous education research methods to better understand the factors that contribute to and detract from the engagement and persistence of women and underrepresented minorities in computer science (and related fields) this includes but is not limited to pedagogical practices, climate and culture, and the complexity of race and gender. LEARN-CS is always looking for those inspired to challenge the norms in computer science to make CS for accessible to ALL.